Falconry is an ancient hunting method wherein falcons and other birds of prey are trained to attack wild quarry in its natural habitat. Requiring significant investments of time and money, the sport was largely limited to the upper rungs of society, and the birds themselves were held in high estimation. Hoods were an important article of falconry equipment, worn to reduce visual input while the falcon was at rest. Their design was based on regional convention, with European, Indian, and Arab examples differing in shape and ornamentation. Like most European hoods, this example features a triangular gap in the front for the bird’s beak, and an additional gap in the back where the hood is secured. 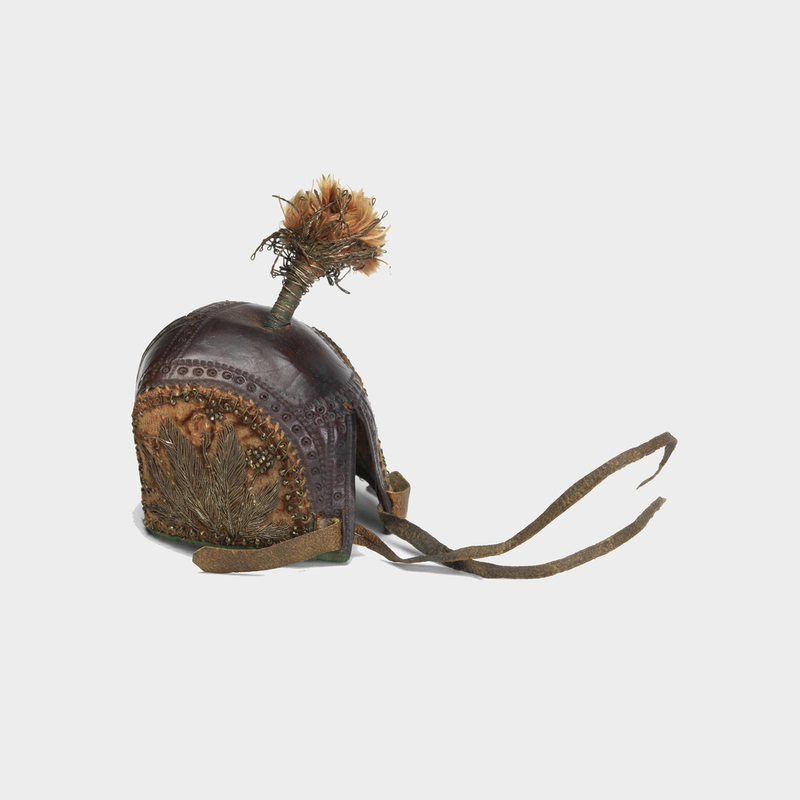 Made of tooled leather with embroidered velvet panels and an orange metal-wrapped tuft, it resembles a British hood in the Victoria and Albert collection (T.244-1960), which dates from the early seventeenth century.